These days, having a thin laptop is the in thing. And finding students or professionals with thinner and highly portable laptops is a common trend in our campuses and offices. From architects to designers, students to business professionals, finding the likes of a sleek MacBook, HP Elitebook Folio G1 or HP Spectre is slowly becoming a norm. There’s a clear, rejuvenated effort to make premium laptops an object of desire, and it did not start today. I must say, the past three decades have played an important role in laptop design and aesthetics. The designs have moved from the big and bulky laptops we knew from the 90s to sleeker, slim and lightweight. That’s all thanks to technology advancements, key achievements that have brought forth Ultrabooks; the ultimate 21st-century status symbol. If you’re a student commuting to school, professional heading to work or just frequent traveler then you understand. Ideally, if you’re a frequenter in any of these careers you understand the value of a lightweight machine. 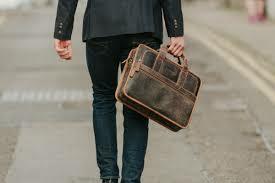 A classic example is a traveler that has to carry a backpack to the airport ever so often for his/her numerous trips. A thin and light laptop would be a lighter system is easier to carry for such. Which brings us to the question. How thin should a laptop be? 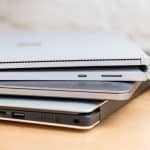 How do we identify which laptop is thin and which isn’t? Well, I’d want to say this is an age-old question, but that would not be correct. It’s a concern of the 21st century. If anything a concern for the millennial with the desire for a thinner, sleeker laptop with all the intuitive advantages of a larger laptop. I’ve wanted to answer this question for a while now. That’s why I thought I should research it. However, to be honest, there is no rule governing how thin laptops should be. There is no definitive law pushing for laptops to adhere to a certain thickness. Manufacturers have an open playing field here to break the bounds of their own designs. That said, even with no clear cut rules, there are some basic category average that have developed over the years which manufacturers opt to fit their laptops to. They are common and you might even have heard about most of them. We have Ultrabooks and Chromebooks, Ultrabooks, thin and light, desktop replacements and luggables. The averages we’ve listed here are physical dimensions of each category. It’s worth noting that the weights mentioned here do not include weight from other components such as accessories and power adapters. In that case, you’ll need to add between 1 to 3 pounds on each category. Ultrabook/Chromebook: 9-13.5″ x 8-11″ x <1″ @ 2 to 3 lbs. Ultraportable: 9-13″ x 8-9″ x .2-1.3″ @ 2-5 lbs. Thin and Light: 11-15″ x <11″ x .5-1.5″ @ 3-6 lbs. Desktop Replacement: >15″ x >11″ x 1-2″ @ >4 lbs. Luggables: >18″ x >13″ x >1″ @ >8 lbs. From the above list, it’s clear that laptops are just as much about weight as they are raw power. Weight plays an important role just as thin and sleekness does, and Ultrabooks and Chromebooks take the lead here. On top of not freezing up while you’re head first in work, Ultrabooks are easy on your back too. 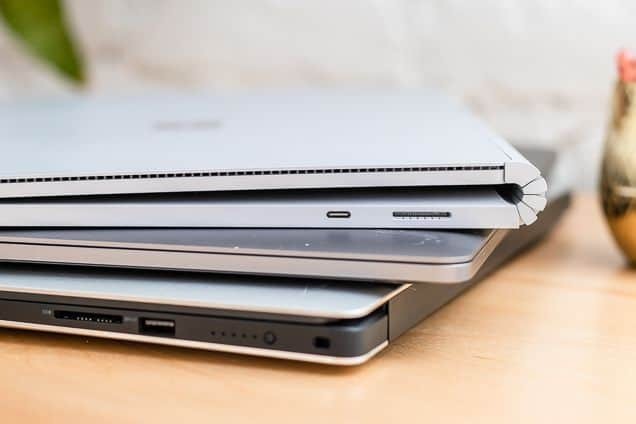 For all intents and purposes, they make the perfect example of how thin a laptop should be; of course thin, lightweight, mindful of performance and battery efficient (long lasting battery). In the course of striving for a dream body, some features are avoided to maintain the laptop’s dream size. Most Ultrabooks don’t ship with DVD drives to save on space. That means, if you’re planning on burning discs, you’ll need to carry an external disk drive to cover you. FYI, that is just a heads up of what not to expect if you’re planning on buying a thin laptop, in this case Ultrabook. But for a more detailed description of such, we’ll be writing about the best thin laptops under 500 soon. So please check it out. To sum up, my two cents on how thin a laptop should be are no much different from what Ultrabooks presently are. As it stands, Ultrabooks have broken the barriers of what I would define to be thin. Personally, I consider anything below 1 to 1.5 inches thin and some Ultrabooks and Chromebooks have more than surpassed that definition. The HP Spectre x360, for instance, is a whopping 0.4 inches but still manages to maintain an impressive balance of gorgeous, powerful in performance and battery. Meanwhile, the Lenovo Yoga 900s does all that and more including owning a convertible (hybrid) body. So, if you’re in the market for a robust thin laptop, the Ultrabook is a slim but powerful option to turn to. At least with Ultrabooks, you’re sure of thin, light and powerful options that won’t disappoint. Let me know what you think. Let’s get talking on the comment section.